SPAIN. Laws. 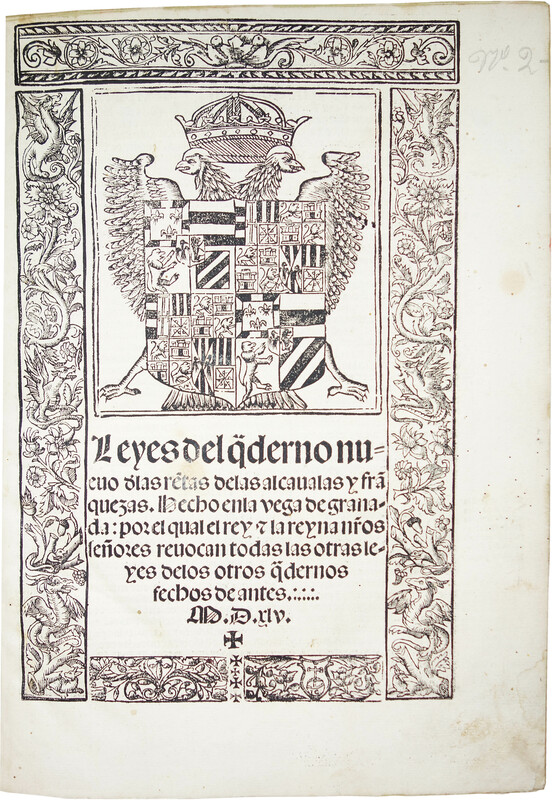 Fernando and Isabela King and Queen of Spain; Juana I, Queen of Spain; printed in the reign of Carlos I, King of Spain 1516-1556 (and Charles V, Holy Roman Emperor 1519-1556)].